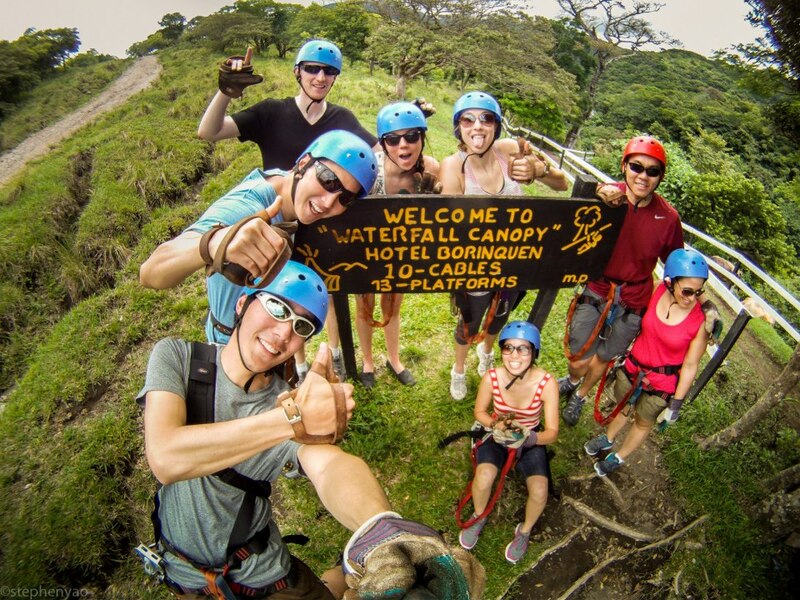 What happens when TravelZoo offers $250 flights to Costa Rica? Me + 9 friends head to Latin America! 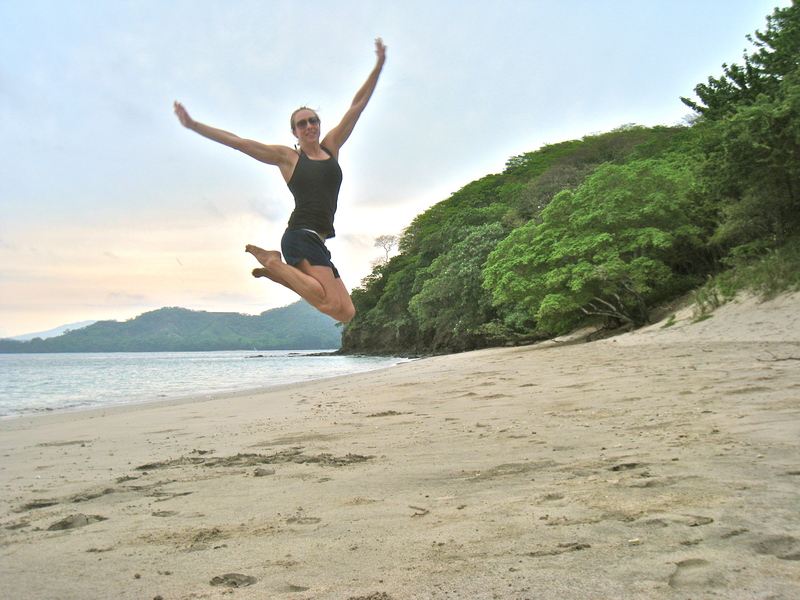 Costa Rica is one of my top travel destinations. I loved it so much that I convinced my family to vacation there this Christmas! Day 1 – We had a 4 hour layover in Miami, so we quickly caught a cab to the beach for a morning swim in the Atlantic Ocean. 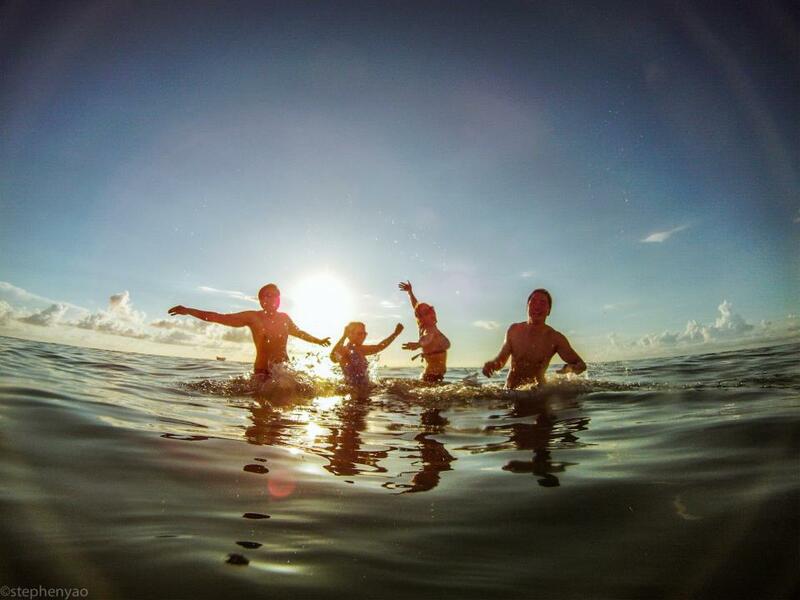 When our flight touched down in Guanacaste, we headed back to the water to swim in the Pacific. Atlantic + Pacific all within the same day. Check that off the bucket list! 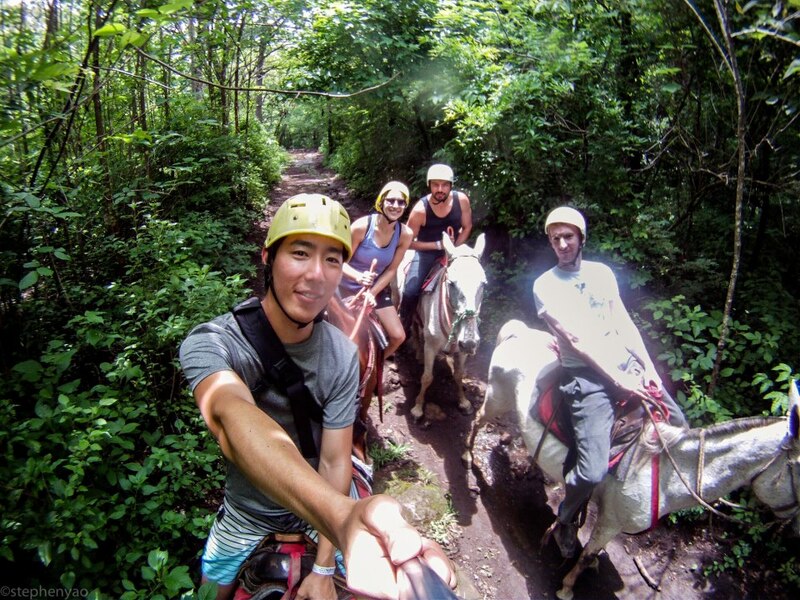 Day 2 – We set off for the Borinquen Resort for horseback riding, zip-lining, and hot springs! The great thing about booking a tour through the resort is that it lowers the cost for a full day of fun, and includes a fabulous Costa Rican meal! I recommend these types of all day tours to maximize the activities and lower the cost of your vacation. 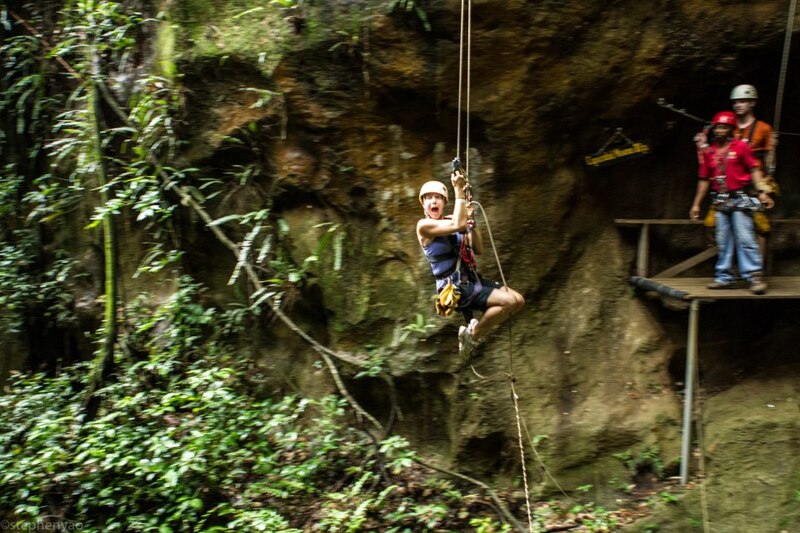 There is nothing like the thrill of flying through the rainforest via zip-line! 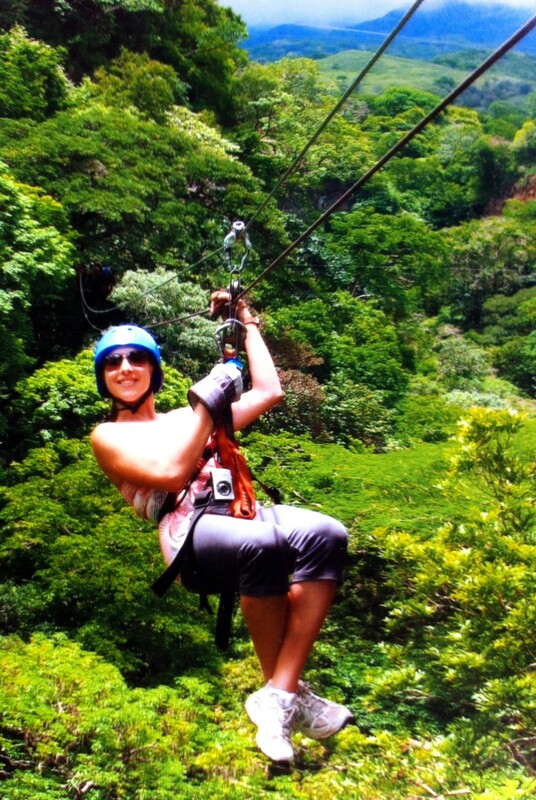 If you ever visit Costa Rica, this is a MUST DO! Our next adventure was a private snorkel tour around the islands and a visit to a secluded beach with trees filled with howler monkeys. We got the guide, the boat, the equipment, and the tour for less than $250 for the day. Another affordable adventure for the group! The waters were clear and there were many colorful fish and coral to swim around and explore. 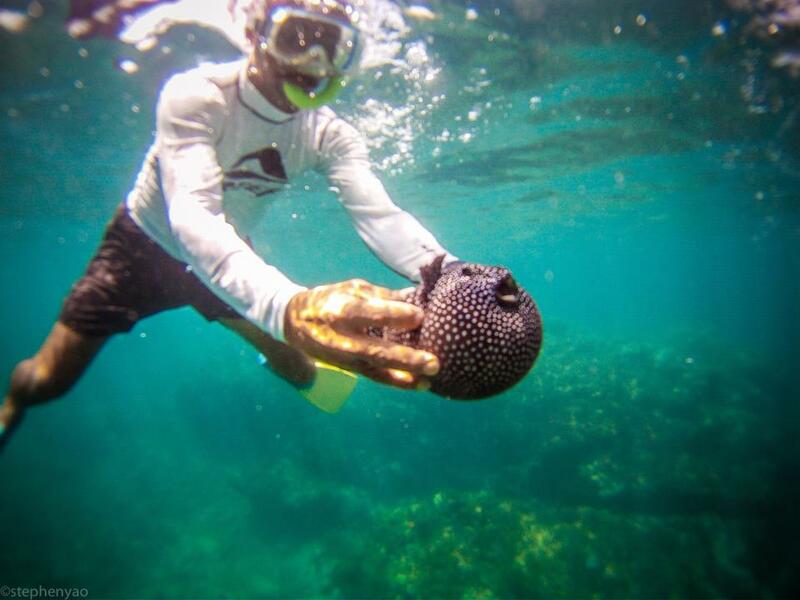 The highlight of the tour was getting to play with these little guys – Pufferfish! 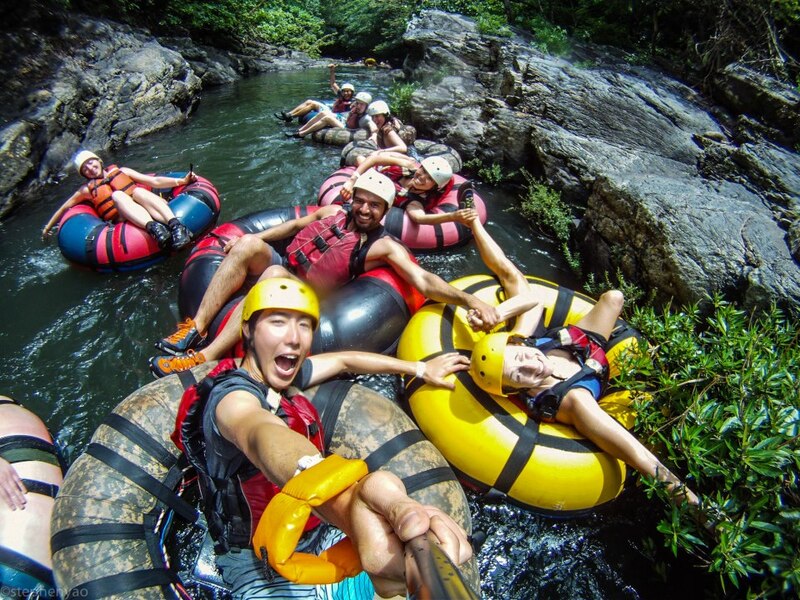 My favorite part of the trip was our white-water tubing and zip-line tour at Guachepelin Resort. 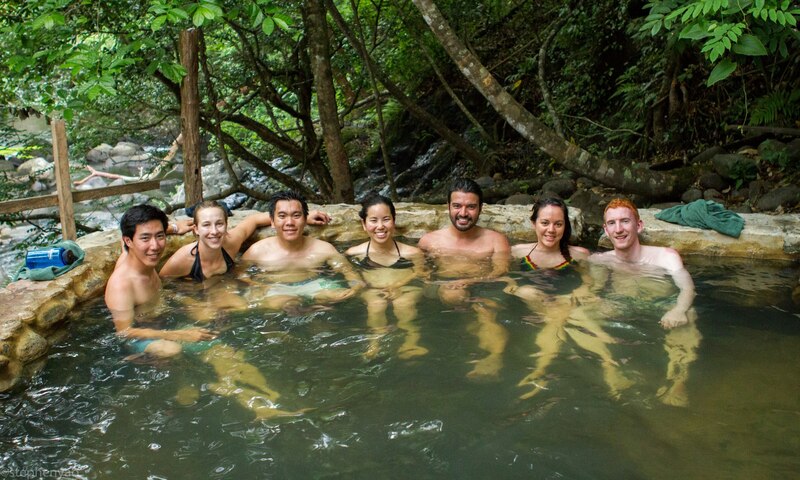 The day included horse back riding through the rainforest, white water tubing down a class II river, rock climbing, repelling, and zip-lining through the trees, and relaxing in the natural hot springs in the rain! 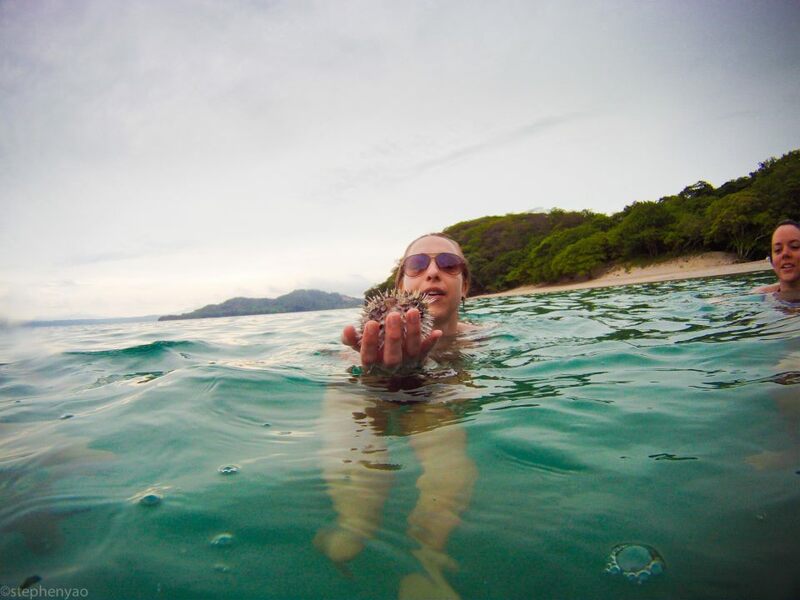 There are endless beaches, rainforests, waterfalls, and adventures to be had in Costa Rica. I really do recommend this as a top travel destination, no matter your age! I can’t wait to go back this Christmas! Pura Vida!